There’s a connection between understanding authority and having great faith. Sometimes a believer’s faith doesn’t operate because he doesn’t understand his authority. When the believer starts to receive from God, the devil steals from him, and he doesn’t realize he can stop the devil in his tracks. So we must develop an understanding of the authority God has given us. Authority is not our own power or strength. The best term to explain authority is “delegated power.” You see, Jesus delegated authority to us: “Verily I say unto you, Whatsoever ye shall bind on earth shall be bound in heaven: and whatsoever ye shall loose on earth shall be loosed in heaven” (Matt. 18:18). In other words, what we forbid is forbidden, and what we allow is allowed. Jesus is the Head of the Church. We’re His body on this earth with the right to use the authority vested in His name. The body has the same authority as the Head. God is waiting for us to give orders to the enemy so He can legally enforce them. We’re the ones with the authority to do something about the devil. Confession: Jesus has spoken healing to me through His Word, and I have authority to stop the devil from hindering me. 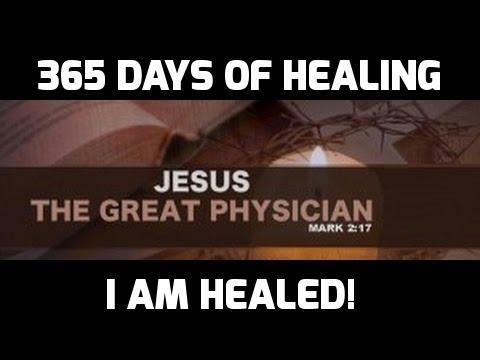 Healing is mine in Jesus’ name.